I’m very loyal to Epionce. I've used the products for more than 3 years and have blogged about them before on this link. Nothing has changed there - I still love the brand but I’m lucky to be given the opportunity to try other brands and that’s good. Because not every brand/price point/texture is going to suit everyone. Skincare is so subjective-you have to try lots before you find the one you love. So as a blogger, it’s important I keep scouring the market and testing different brands. Even if I do always go back to Epionce. And when I say test, I really do test them. At least for a few weeks but mostly for months, under make up/at nighttime/alongside other brands & products. So the two I’m featuring here have been ones I’ve tested over the past year. Beauty PR’s don’t like me for that reason-I take too long to review. But I don’t blog for PR’s and I won’t rush beauty posts! 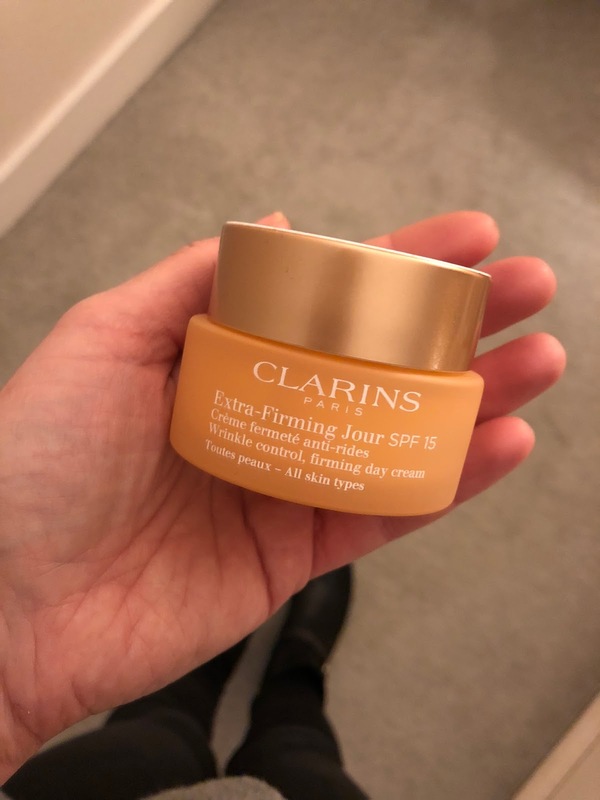 Starting with Clarins and their Extra Firming Day Cream - SPF 15 - pictured above. I’ve been using it for about 2 and a half years and I’m only on my 3rd bottle. It’s pricey but worth every penny because it has definitely improved my skin since I started using it. I’m also never without my Clarins Instant Eye Make Up Remover. Amazing product...constant repurchase for me. But this day cream wasn’t for me - for a premium product retailing at £58, it didn’t wow me. I didn't like the smell or the texture and I found that my skin was wanting more. Also my make up didn’t sit well on top of it - I even bought a primer thinking that would help but it was the cream that was the problem. So I’ll not be repurchasing-all my Clarins dollah will go on the serum instead. 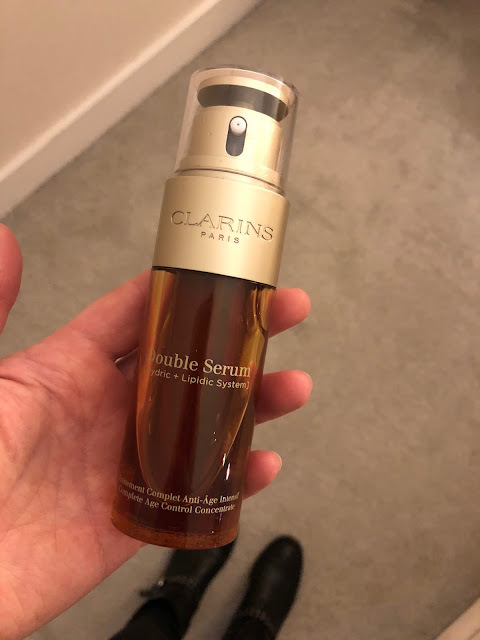 It's interesting that when I got the link above from the Clarins site (after I wrote my review), I saw it's having awful reviews on there too. Looks like it might be another discontinue for them soon (they're lethal for discontinuing stuff in Clarins!!). Next up, it’s Esthederm. A brand I’d not heard of but when I researched more, I liked what I read. French, established for almost 40 years and it seemed like one of those brands that those gorgeous youthful looking French women were keeping to themselves. 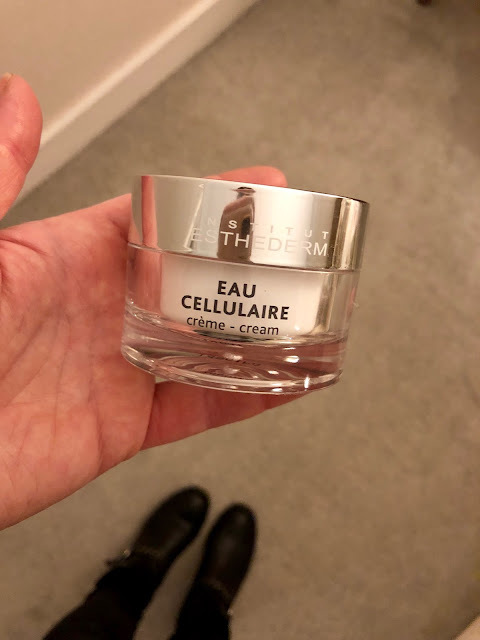 So for the past few months, I’ve been using Institut Esthederm Cellular Water Cream - and it was like night and day going from the Clarins to it. It’s beautiful to use - really light but deeply moisturising and it leaves my skin so soft. And my makeup sits perfectly on it - an absolute pleasure to use and I look forward to applying it every morning! Works well with the Clarins serum too, which is important. All told, it’s a lot of lovely face cream for £39 in a world full of £60 and £70 products. It’s not cheap cheap but I say it over and over, you get what you pay for when it comes to your face in your forties. Invest as much as you can in your day cream and it will pay dividends for you in the future. 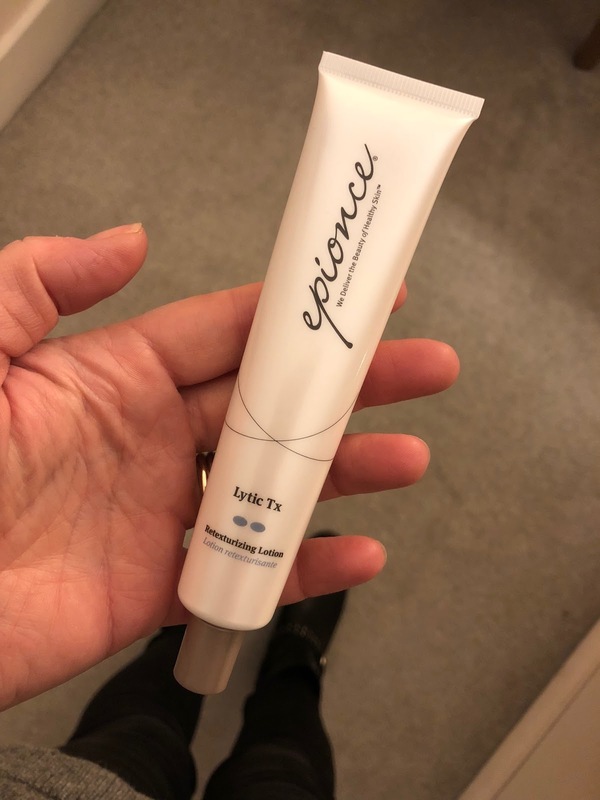 I should say that throughout all of the tests above, I continued to use Epionce Lytic TX. Forget your retinols, this is the gentle & effective way to treat skin imperfections. I don't know enough about the science behind it but I know it's clinically proven and has so many 5 star reviews online. I can't be without it. It should be used with the Epionce Renewal Cream and that's what I do when I'm not testing others. It's truly amazing stuff. But you know what, it's great to break the routine now and again. It's almost like your skin gets used to the same products constantly. 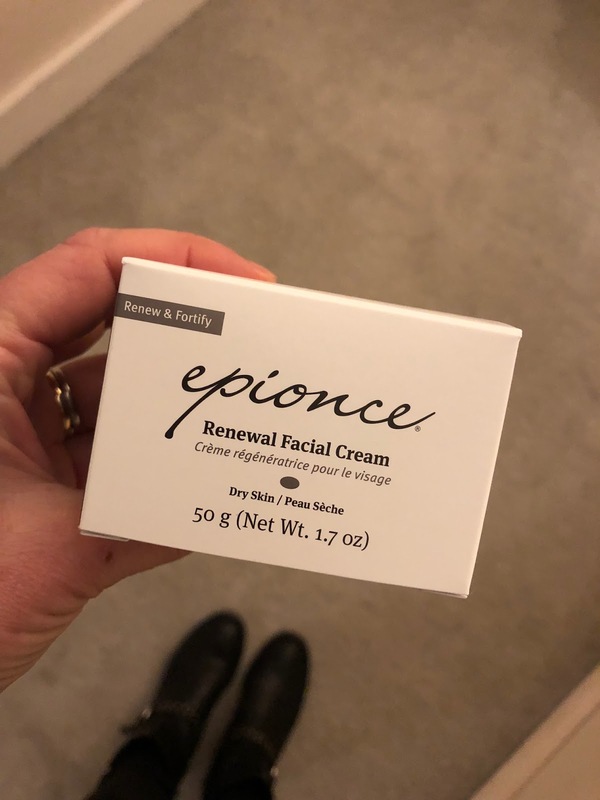 Or maybe Epionce just feels amazing after a break because my skin has deteriorated in the interim? Who knows - but if you have a Woodford Clinic near you (they're not just in Belfast!) or a beauty salon that uses Epionce, go and explore. I buy mine in the Woodford Clinic on the Lisburn Road and Kerry there is an amazing woman. Well worth a visit if you're local. And there you go - three of the day creams I've been using over the past 6-12 months and hopefully this answers the frequent questions I get about this part of my beauty regime. Next up - foundations!